Heat Exchangers Specifically Made For Your Application. We can tailor these to suit any specifications, plate heat exchangers are individually designed by state-of-the-art software around specific performance requirements of the intended application. An added advantage is the system’s flexibility, plates can be added, removed or rearranged to alter the exchange characteristics of the unit. 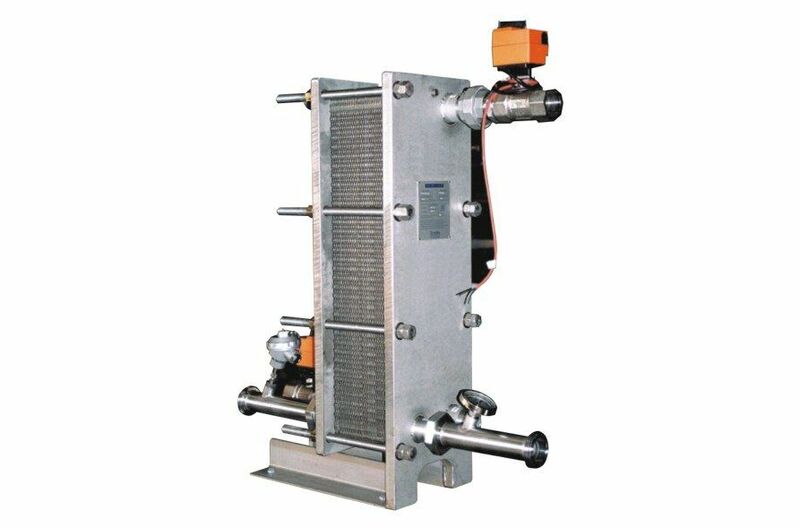 The heat exchangers that Automatic Heating Global produces are fully scalable and expandable with plates that can be added, removed or changed to suit any alteration in the requirements of the system. This process can be performed without change to the unit’s footprint up to around 30% heat transfer surface area. The plates of the heat exchanger are corrugated and separated in the unit by gaskets made of an application dependent material like nitrile butadiene rubber (NBR). The ridges from the corrugation come into contact with ridges from adjacent plates facilitating the exchange of heat and the whole thing is held in place by a steel or stainless steel frame. The plates can be constructed of a variety of metals or alloys including titanium and stainless steel and will be selected and shaped to provide the optimal surface contact and heat transfer properties for the task for which you require the Heat Exchanger. Simply contact us and you will be assigned a technical specialist to advise and provide the ideal specifications for the Heat Exchanger you need. The apparatus can then be designed, assembled and despatched in as little as three days or up to three weeks for especially complex versions.